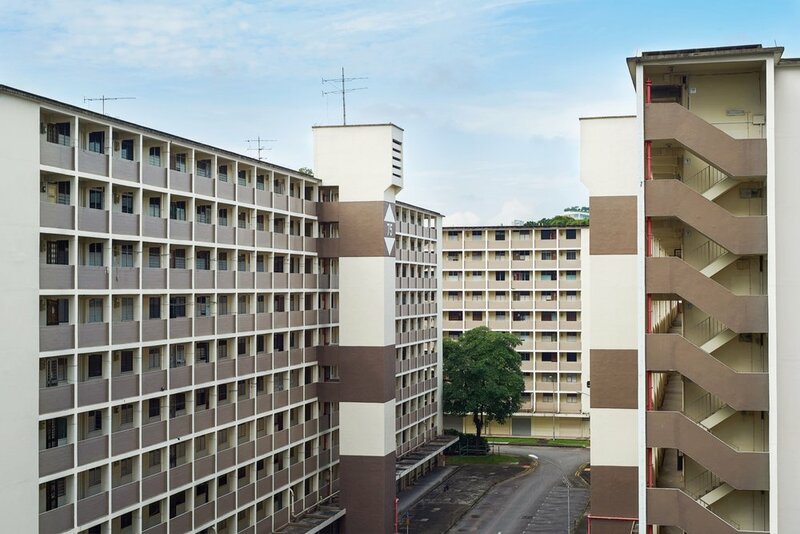 Singapore went from having one of the worst housing shortages in the world to 90% home ownership. Early housing projects were monotonous building blocks and essentially quick fixes to the issue. In time people were shifted out of older buildings into newer ones, while older buildings were torn down to give way to even newer standards. This constant shifting incrementally improved the standard, yet a lot of older stock remains in the market until today, awaiting their destruction. To soften their outlook older stock was repainted creating graphical media of dilapidated buildings. The project aims at keeping a record prior to their final destruction. Limited C-type prints fine art paper available in store here. All prints are personally signed and numbered and a Certificate of Authenticity will be provided. Please contact me for a viewing, to see a large file, or if you have any other questions.